Ever imagine what it's like to be one of the few visitors to set foot on a remote Island? Or wonder how it might feel to visit somewhere so picturesque that even Sir David Attenborough deems it 'one of the wonders of the world'? These are the types of dreams that are becoming a reality, thanks to the rising popularity of luxury small ship expedition cruising – a cruise style that brings together an average of 100 like-minded guests with a team of expert lecturers, sailing aboard luxury boutique-style expedition ships to far-flung and unusual destinations, inaccessible to larger cruise liners. 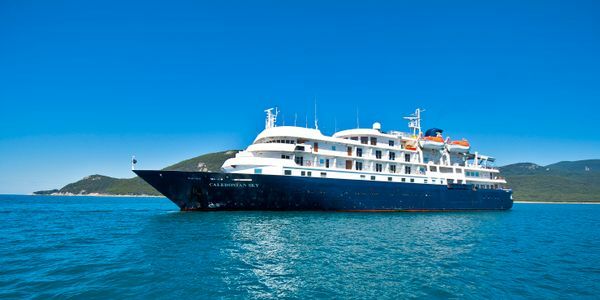 According to luxury small ship specialist APT, an increasing number of Australians are hopping onboard with this newer cruise format, making it the next big travel style for 2015 and beyond. 1. Pulau Kakaban, Indonesia: Edged with steep limestone cliffs and covered in dense jungle, the beautiful Kakaban Island is part of the Derawan Islands of East Kalimantan. Get up close: Snorkel the Island's freshwater lake to see a variety of fascinating strange jellyfish that have lost their sting. 2. Torajaland, Central Sulawesi: Buried deep in Central Sulawesi, Indonesia, Torajaland is a rarely visited gem with a friendly culture and ancient traditions. Get up close: See fascinating boat-shaped houses built facing north in honour of the deities, or visit grave sites that house replicas of the ancestors, called Tau Taus. 3. Lacepede Islands, Kimberley, WA: A highly protected Class A nature reserve located off the Kimberley Coast, the Lacepede Islands are classified by Birdlife International as an important bird area and boast one of the world's largest breeding colonies of Brown Booby and Lesser Frigate Birds. Get up close: See the most significant rare Green Turtle breeding ground in Western Australia as well as a spectacular platform reef. 4. Trincomalee, Sri Lanka: Situated on one of the world's finest natural harbours, Trincomalee is edged by famous, seemingly endless stretches of sensational beaches. Get up close: Visit World Heritage-listed site of Sigiriya, or 'Lion's Rock', an ancient rock fortress and palace. 5. Tinos, Greece: A beautiful sun-drenched island in the Aegean, Tinos is one of the best kept secrets of Greece. Venetian and Ottoman architecture can be found across the island, the legacy of its varied past. Get up close: Because most visitors to the island are pilgrims it remains relatively untouched by tourism, so a stop here will give you a true taste of Greek culture. 6. Aldabra and Alphonse, Seychelles: The world's second largest coral atoll, Aldabra is one of the most isolated places in the world. Comprising four islets around a large shallow lagoon that is encircled by fringing coral reef, Sir David Attenborough once named it 'one of the wonders of the world'. Nearby, the Alphonse Atoll consists of picturesque Bijoutier and St Francis with their coconut tree-lined perfect white-sand beaches and rare bird species. Get up close: See abundant wildlife and spot the Aldabra Giant Tortoise. 7. Misty Fjords National Monument, Alaska: Tucked away far from the path of larger ships lies Misty Fjords National Monument along Alaska's Inside Passage, offering some of the most breathtaking scenery on earth. Get up close: See glistening glaciers, vast ice fields, enchanting wildlife and snow capped peaks. 8. Laughing Bird Cay, Belize: A beautiful Island just off the coast of Belize, a special permit limiting the number of visitors is required to visit Laughing Bird Cay. Get up close: The Island stands on a faro that encloses a central lagoon. Visitors enjoy an abundance of bird and coral species and marine life. 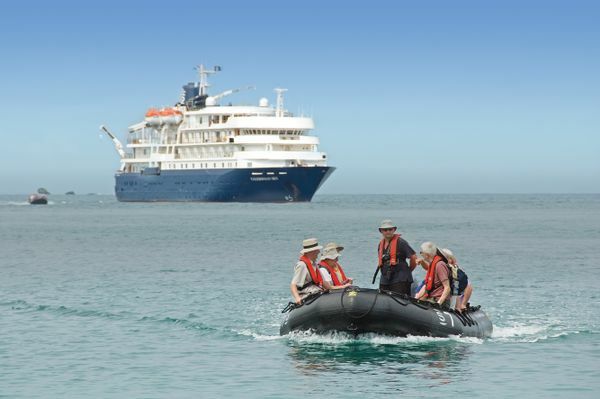 To find out more about booking an unforgettable adventure aboard an APT Luxury Small Ship Expedition Cruise call 1300 196 420, visit aptouring.com.au or see your local travel agent.